Some common computer repairs include virus/spyware removal, replacement of damaged parts, debugging errors in applications, operating system fixes/reinstalls/upgrades, Internet access issues, networking issues, and upgrades of all kinds. 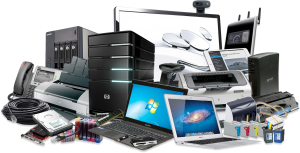 We work on almost any computer-related problem, Virus/Spyware Removal, Data Recovery, Computer System Set-up, Computer System Tune-up, On-Site Services, In-Store Services, Home Networking, Business Networking, Wireless Networking, Security Systems, Outsource IT Services, Computer Consulting, Surveillance Systems, Remote PC Service/Monitoring. Spyware and virus infections, Modem and Internet access problems, Microsoft Windows errors (OE, illegal operation, etc. ), Video Card corruptions and anomalies, Crashed hard drives, Bad motherboards, System lockup, Blue screen, CD-RW DVD-RW and optical drive malfunctions, Sound problems, Blown power supplies, IRQ and DMA conflict resolution, Water, liquid, lightning and surge damage, Network access problems, computer noises, Legacy systems, Hardware and software upgrades of all kinds. If you suspect that your home or office computer network has been infected with a virus or malware, your best move is to call Jungle Computer LLC. Regardless of your Internet issues, we will assist you in resolving them all. Whether it is Internet setup, installation, debugging, or email and/or browser issues, our technicians will get you up and running. For home or business, Jungle Computer will fix your Internet so it is working for you.